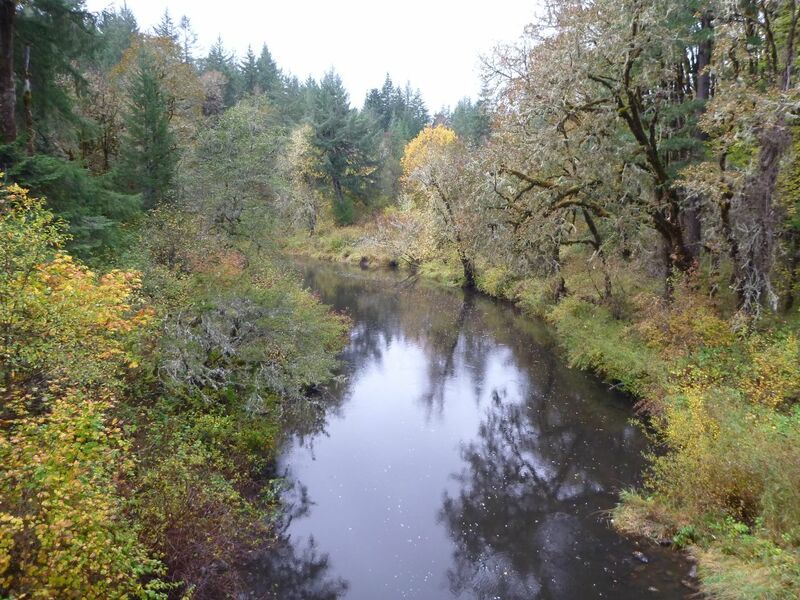 Middle Marys River extends from Muddy Creek in Corvallis to Blakesley Creek in Wren. Steep cliffs and bedrock intrusions occur in the uppermost reach of middle Marys. Below Woods Creek, the river meanders slowly along a relatively flat course, cutting a deep channel through deep silt deposits.